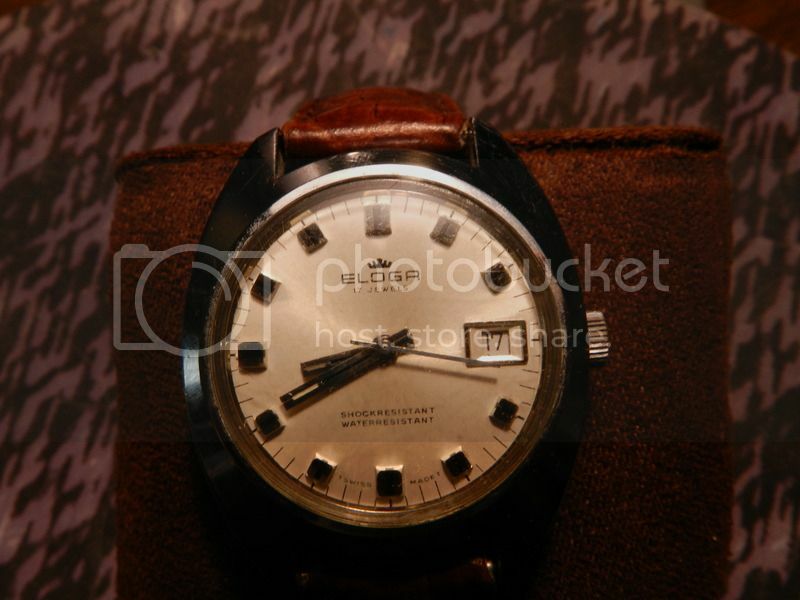 So, quick backstory to set the scene, the other day I purchased a cheap spares/repairs womens Doxa just to get a feel for the brand before buying myself a mens size. Lo and behold, it ran perfectly and kept good time for at least a good 8 hours. 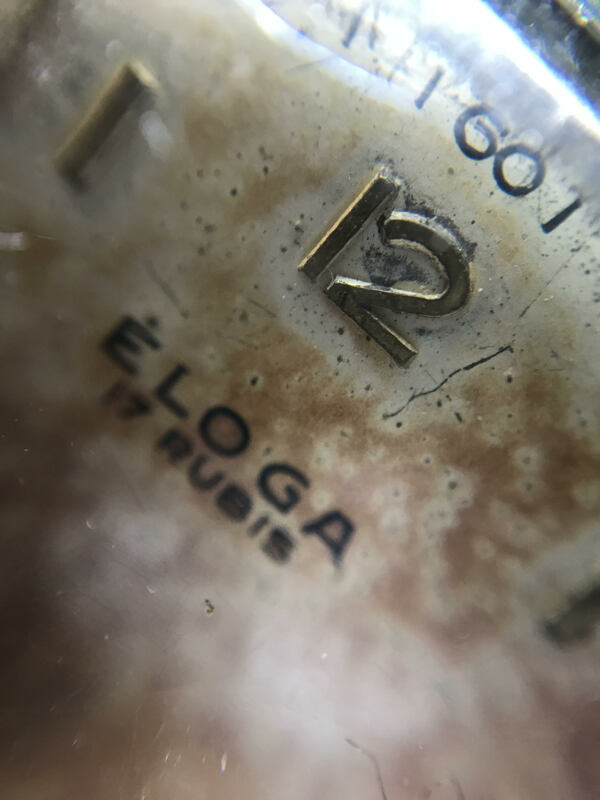 Seller had a few other watches and this Swiss Eloga took my fancy with it's slightly uncommon case and well aged patina dial! Also listed as spares/repairs, I decided to chance it. I turned the crown clockwise as I usually would and it wouldn't budge at all - stiff as a rock! I then turned it very easily anti-clockwise just to see and nothing happened so I put it down and thought nothing of it. 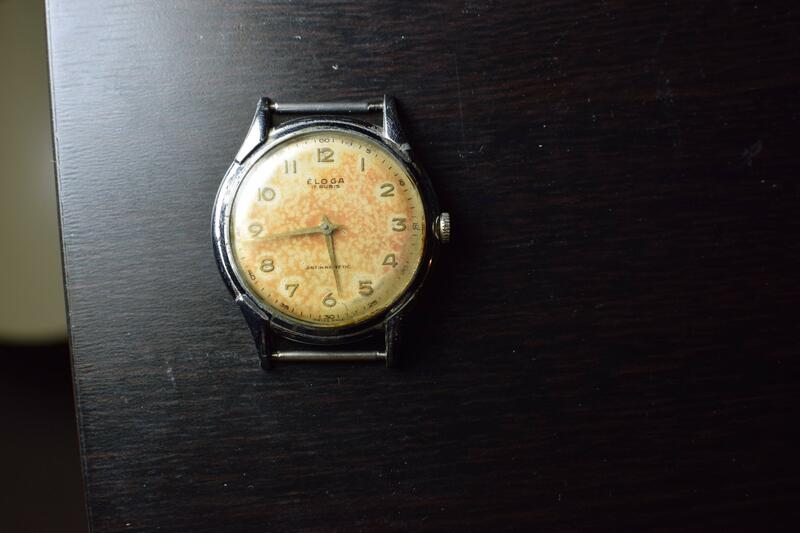 Later I glanced over at it and noticed it was on the same time as my working Ricoh Medallion (which runs perfectly). I thought perhaps I'd set it wrong earlier so wound it again and left it for a few minutes and luckily, yet again, another working watch! I think the lack of a seconds hand and my assumption that it was spares/repairs threw me off. It keeps amazing time too. I wound it around 10pm or so and it was dead on time at 8:45am the next morning. 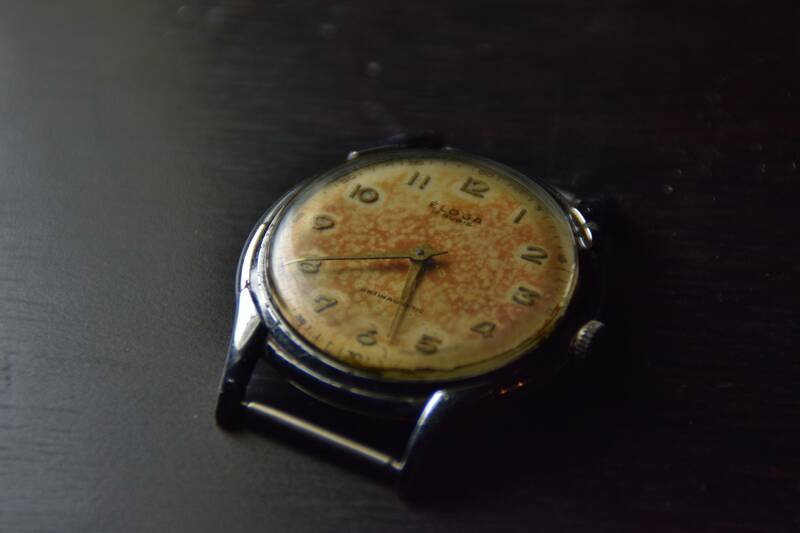 Needs a new crystal, a strap and perhaps one day some TLC to the case but otherwise I'm very pleased! 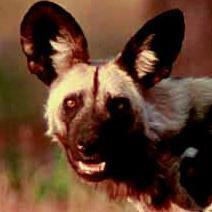 Case is a reasonable 35mm exc. crown and has a good quality weight to it. £9 well spent! 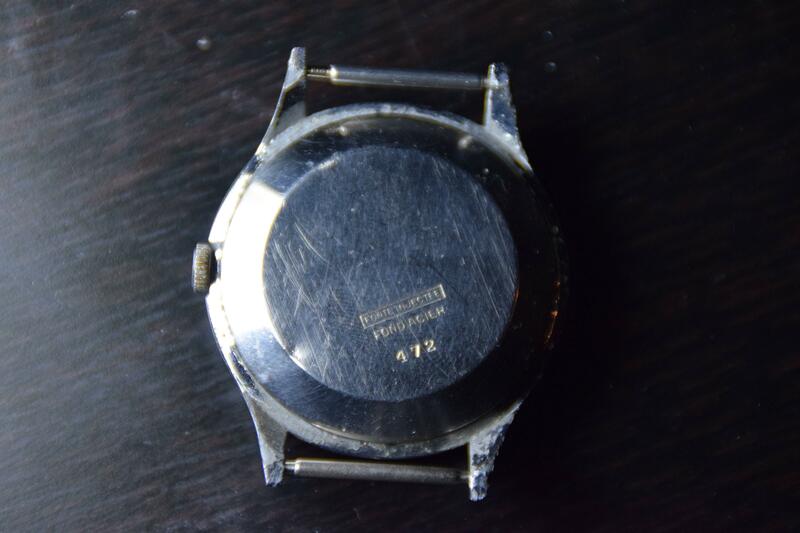 If anyone has any more info on the watch; movement, serial etc do let me know! Nice new glass fitted and put on a suede NATO - haven't bought a NATO before but it does the job! 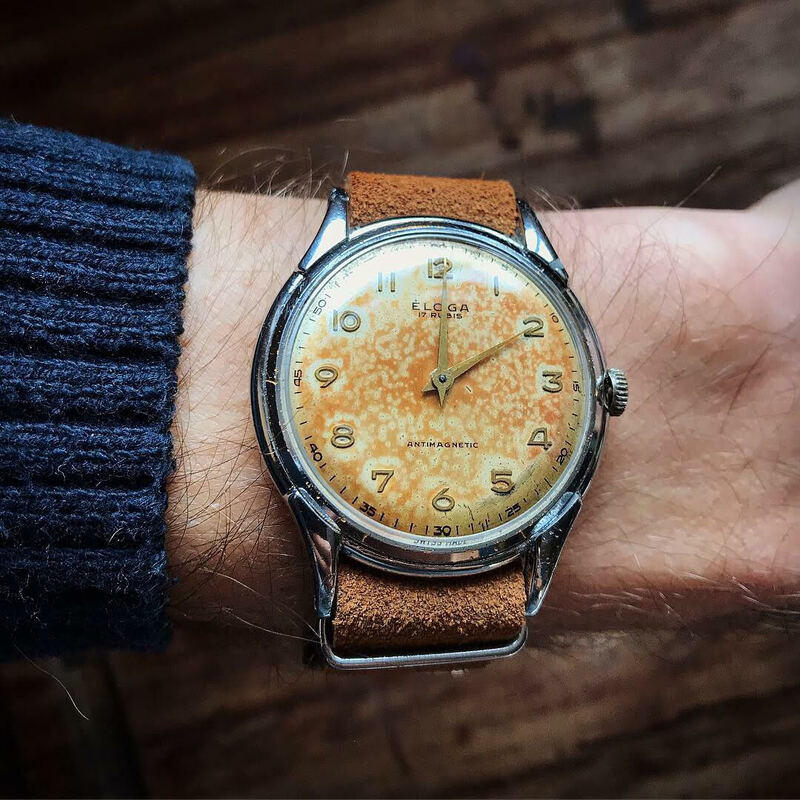 Looks great , nice patina without it looking too far gone - great paring with the strap also ! 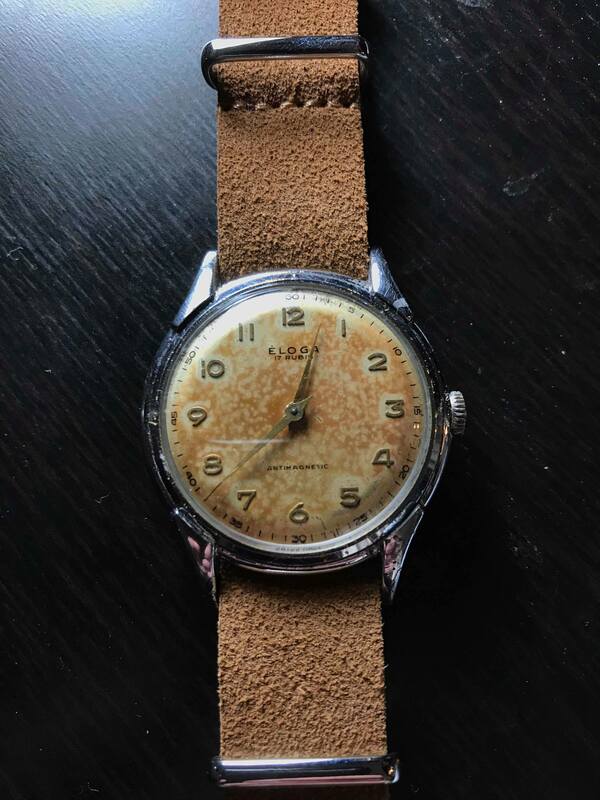 Nice patina, and I think that strap complements the watch very well. Thanks guys! 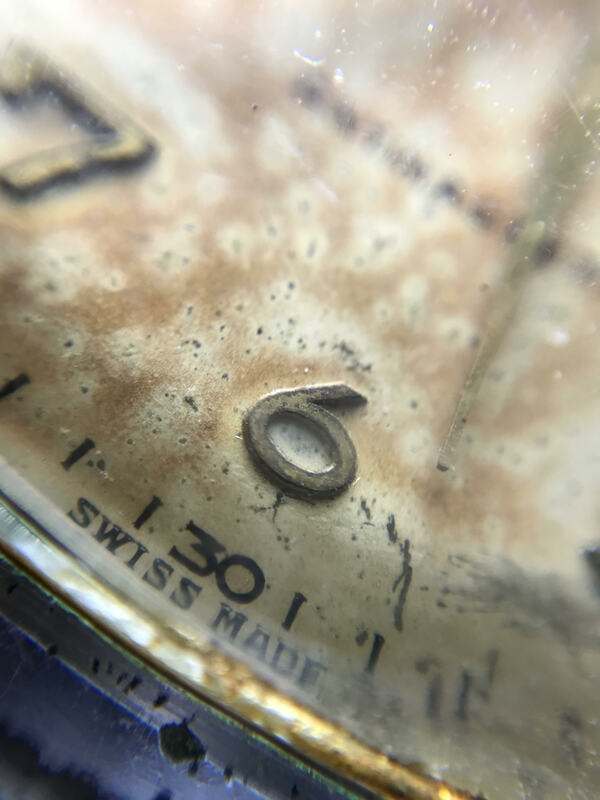 Agreed the Patina works well but all the details of the dial can still be seen clearly Strap is from a new place called George’s Straps, good quality, customisable and good prices I think. Finally figured out how to post picture. Love that story! Was on holiday at the weekend and kept daydreaming a random watch would just appear like that :P Mines still going strong too, I guess they're tanks, I recall reading they often used pretty quality A Schild movements but I'm no expert. Exactly - well, £34 after the new glass but certainly still happy and gets worn regularly!